The general dentist practice of Dr. Charlesia McLin offers comprehensive dental care while enjoying skyline views of the historic downtown Birmingham. Here at Dental Wellness Center of Birmingham, we understand the impact of oral health on comprehensive health care. 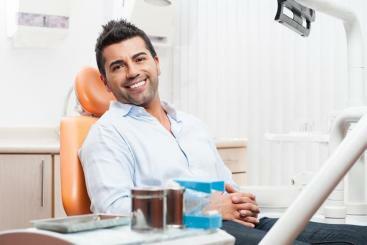 Our goal is to lead you to holistic health by first promoting and achieving ideal oral health. Our staff is fully committed to providing top of the line dental care with a gentle, caring touch. We value our patients and pride ourselves in patient education. Our team works diligently to ensure that you fully understand your treatment needs in order to make a well-informed decision about your dental care needs. 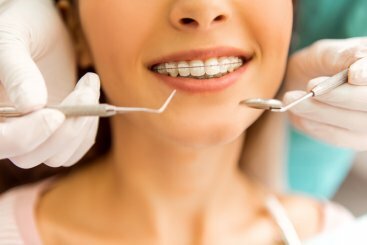 Our goal at Dental Wellness Center of Birmingham is for you to obtain a healthier, more confident smile. Straighten Your Teeth with Clear, Undetectable Retainers. Make a lasting first impression with a boost of whitening for your smile. Our mission is to create and maintain for you a beautiful and healthy smile. Very family oriented environment!! The facility is beautiful and relaxing!! The office coordinator(s) are so sweet and refreshing with the best customer service ever!!! Dr. Mclin is awesome; she is very knowledgeable and great at her professsion! Her service is prompt and on point!!! And appointment times are true to time meaning you generally don’t wait long to be seen!!!!! I started coming here about 6 months ago. Immediately it was such a warm and inviting group! I felt like I’d known Dr. McLin forever! IThe staff is smiling and happy, beautiful office, nice views overlooking the city while getting your teeth worked on. I’ve always had a wonderful experience when visiting Dr. McLin and staff! Both Dr and staff are welcoming and very knowledgeable. When calling in to make appts or requests, they’re always accommodating to my needs especially Ms. Beverly, she goes above and beyond. She’s offers premier customer service. Wait time is minimal to none which is always a plus with me!